The Nik Meller Collection of elegant premium grade optic crystal Awards are designed by International furniture designer and sculptor Nik Meller. 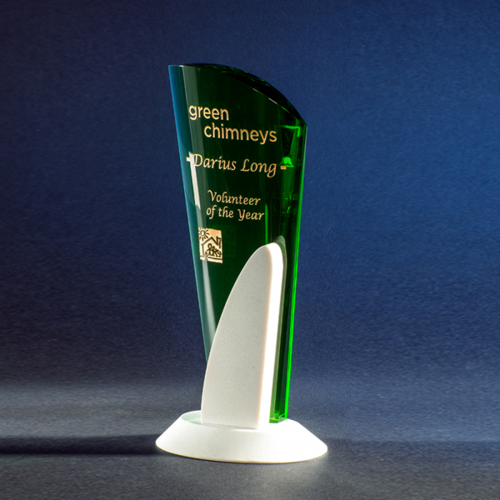 The Duchess Crystal Award is accented by a green crystal base with beveled corners. The clear crystal focal piece has an arched top with tapered beveled sides. 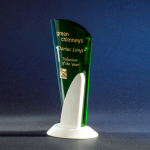 This top of the line award is a very refined and elegant piece proudly received by any beneficiary.